Mozilla Foundation Chair Mitchell Baker has slammed Microsoft's suggestion of a browser ballot to give users a choice of internet browsers on Windows PCs. In a blog posting, he says that Internet Explorer will still have a "unique and uniquely privileged position on Windows installations." The browser ballot is Microsoft's latest proposal to settle its long-running anti-competition dispute with the European Commission. Vote now for your chosen browser! 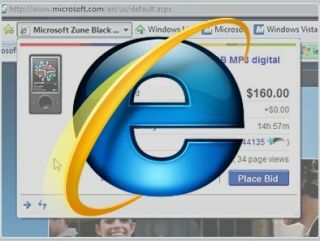 Under the proposal, users of XP, Vista and Windows 7 operating systems would be presented with an election-style ballot allowing them to "easily install" competing browsers from the web. This would allow Microsoft to ship Windows 7 in Europe with the same functionality as in the rest of the world. However, says Baker, the current proposal is tilted in Microsoft's favour. "Choosing another browser as a "default" does not mean that the other browser takes the place of IE. It is always there, often with prominent placement in the user interface," he says. "For example, the IE logo still remains unchanged on the desktop and in the Taskbar of Windows 7, which contains IE prominently." Baker also suggests that downloading and installing a new browser is not straightforward for many novice users: "We expect to see many people who want other browsers get lost in the process before they actually succeed in making an alternative browser their main browsing tool." He notes that IE retains a role in the Windows Update process and that Microsoft's proposal allows for other Microsoft products (except Office 2007) to retain hard-coded links to the IE browser. He sums up by saying, "The importance of the myriad of details makes it very difficult to predict how effective the proposed remedies will be, or the extent of any side-effects." The European Commission is currently reviewing the proposal.